Two people have been injured in crash between a Bus and a Truck on Bayhead Road near Belfast Road around 5pm. 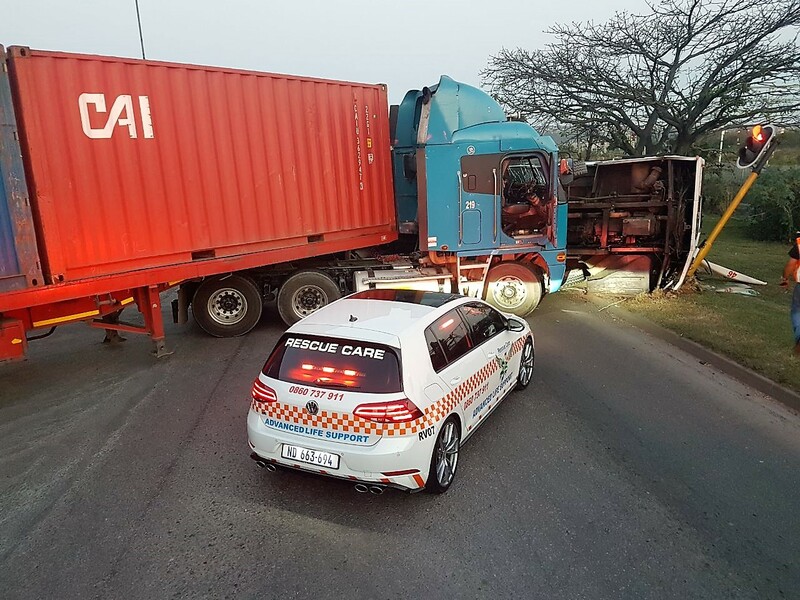 Rescue Care Paramedics arrived on the scene to find that a Truck and a Bus had collided in a T Bone Format, the bus overturned coming to rest on its side in the junction. The patients were stabilised on the scene before being transported to nearby hospitals for the further care that they required. The exact cause of the collision is unknown however SAPS were on the scene and will be investigating further.